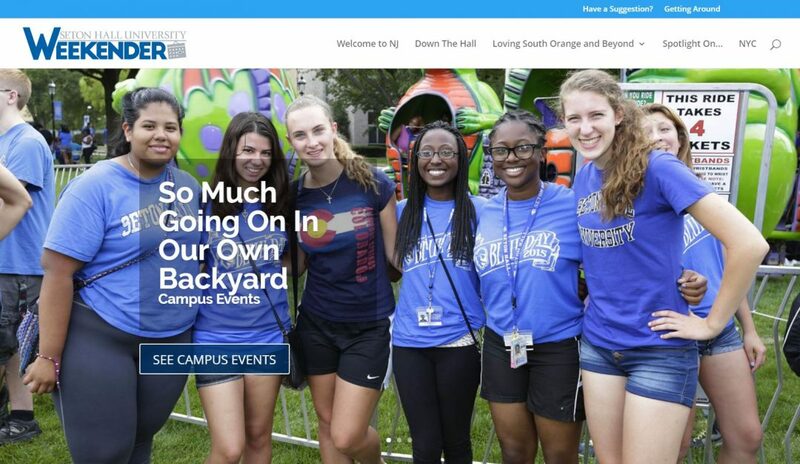 Created in cooperation with Student Affairs, The Weekender is a site all about things to do. It highlights calendar listings for on-campus and off-campus events, along with restaurant recommendations, and transit options. Interactive maps gather together the locations of bus and train stops; restaurant locations; and interesting places to go in New Jersey and New York.